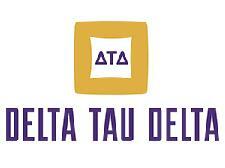 As an organization committed to bettering the community, Delta Tau Delta Fraternity joined with JDRF as its national philanthropic partner in 2012. Avenues for philanthropy and creative fundraising continue to grow through the partnership as Delta Tau Delta members across the nation work to support JDRF in its vision to achieve a world without type 1 diabetes. Delta Tau Delta’s collective contribution to JDRF is the result of commitment from students and alumni from more than 130 Delta Tau Delta chapters. The men of Delta Tau Delta encourage students, parents, alumni and campus communities to learn about type 1 diabetes and support JDRF’s mission to accelerate life-changing breakthroughs and to cure, prevent and treat T1D and its complications. JDRF works every day to change the reality of this disease for millions of people—and to prevent anyone else from ever experiencing it—by funding research, advocating for government support of research and new therapies, ensuring new therapies come to market and connecting and engaging the T1D community. Every dollar put toward research comes from donations. In 2017, Delta Tau Delta Fraternity celebrated reaching the $1 million donation milestone for JDRF, and with each new day Fraternity members work to increase their support.